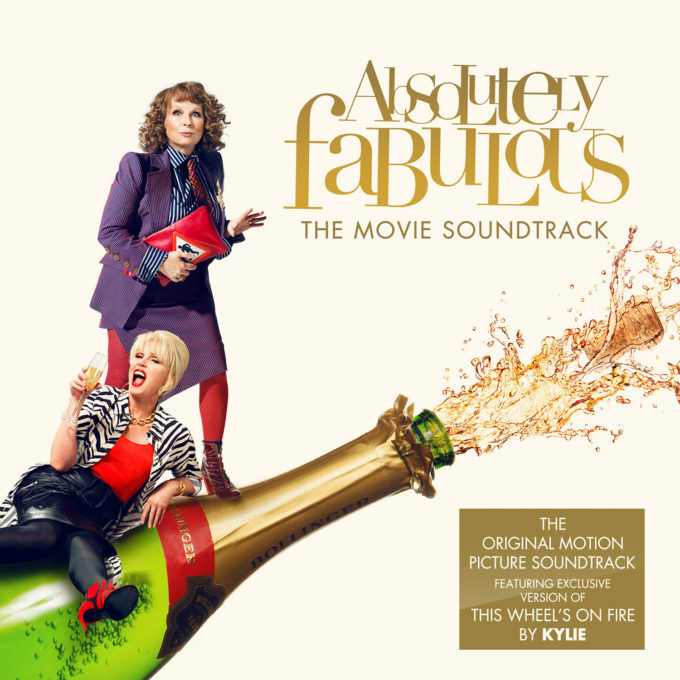 Who else could comedy queen Jennifer Saunders possibly get to perform the classic anthem ‘This Wheel’s On Fire’ for the soundtrack to the new ‘Absolutely Fabulous’ feature film than our own Kylie Minogue. Kylie’s version of the classic show’s theme helms the soundtrack, which will drop digitally on Friday July 01 and physically on Friday July 29, just days before the movie arrives in Australian cinemas. “As a huge fan of the ‘Ab Fab’ series and both Jennifer and Joanna, I’m over the moon to be singing the theme song, ‘This Wheel’s On Fire’,” Kylie said in a statement. Also appearing as part of the tracklist are the likes of Santigold, Jason Derulo, La Roux and Paloma Faith, as well as live tracks from Julia Sawalha (who plays Saffy) and Jane Horrocks (Bubble) and other nuggets which will appear in the film. ‘Absolutely Fabulous : The Movie’ will be released into Australian cinemas on Thursday August 04.